This is NOT a joke. Ms. Felicitas ‘Fely’ Viloria Sicam of “Are Resident Doctors Really Doctors?” fame really won as Best Columnist in 2015 (in the whole Philippines, no less!) from the Universal Peace Federation, an organization under the Unification Church which some deride as the “Moonies cult”. Apparently, she is a high ranking member of certain Moonies associated organizations herself! 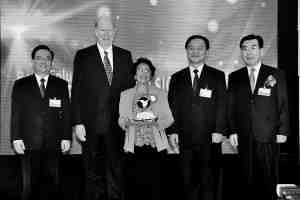 She is a board of trustee of Professors World Peace Academy (PWPA – website here), an educational organization under the Unification Church. She is also the media relations officer of Asia Peace and Unity Corp (APUC, see news article here). APUC is a Unification Church associated organization as well. How so? Reverend Julius Malicdem, pictured as the UPF president in the above image, is also the president of APUC. She also attended the Asian Conference for Media and Policy Leaders in North East Asia held at Lotte Hotel in Seoul, Korea on March 2015. The event was hosted by the Universal Peace Federation and The Washington Times (which is also owned by the Unification Church). 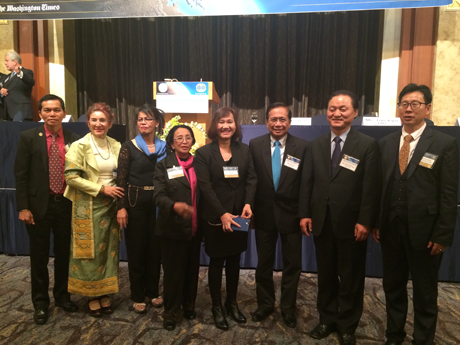 Felicitas ‘Fely’ Viloria Sicam (4th from left) at the Asian Conference for Media and Policy Leaders in Seoul, South Korea, March 2015. Image from Mindanao Times,. 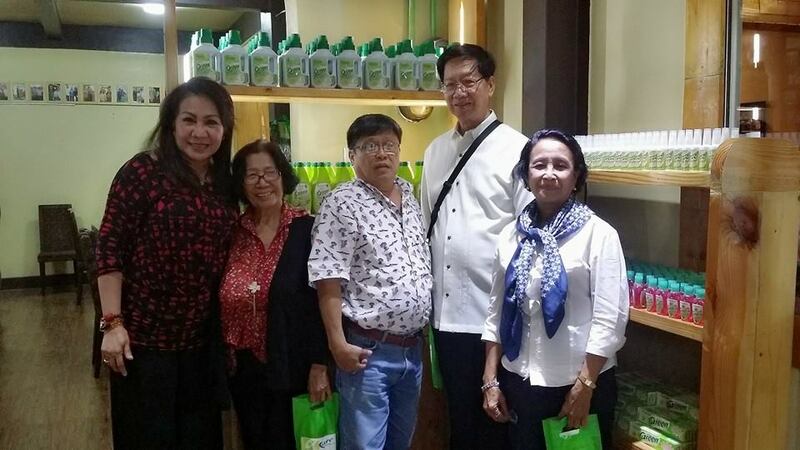 Of course, Ms. Fely Sicam does not exclusively attend Moonies related events. She found the time to visit this multipurpose cooperative in late 2014. Here she is up close. So what exactly is the Unification Church? Why are some people labeling it as a cult? The church was founded by Reverend Sun Myung Moon in 1954. This is why the church followers are often called the “Moonies”. The church was equally known for its mass weddings (thousands of couples) and for the controversies surrounding Reverend Moon. See related article here. “The church was seen as a cult in the 1970s and 80s, and was regularly accused of conning new recruits, holding them against their will, splitting families and forcing initiates to give over their life savings.” according to this article by The Guardian. In 2004, according to this article, he told an audience on Capitol Hill that emperors, kings and presidents — including Hitler and Stalin “from beyond the grave” — had “declared to all heaven and earth that Reverend Sun Myung Moon is none other than humanity’s saviour, messiah, returning Lord and true parent”. Moon died in September 2012 at the age of 92. Let’s get back to Ms. Fely Viloria Sicam’s award here. Fely Viloria Sicam (standing, fifth from right) wins Best Columnist award. Image from Universal Peace Fedaration website. Fun Fact: Manila Mayor Joseph “Erap” Estrada delivered a special message at the summit where these awards were given. He said “Also Rev. Dr. Sun Myung Moon, the founder of UPF, was imprisoned because of his conviction to stand up for his beliefs, by going against tyranny in his homeland and because of following God’s will.” Get your facts straight Erap – Reverend Moon was convicted and imprisoned for tax evasion in 1982. 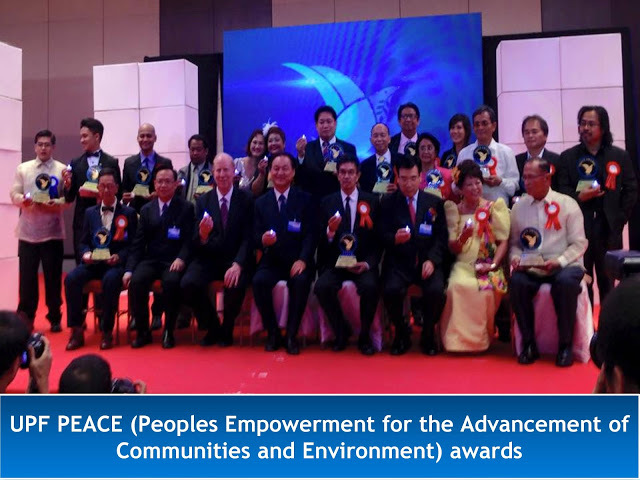 The PEACE Awards is a pilot project spearheaded by UPF in the Philippines together with Asian Peace and Unity Corps (APUC) and the Integrity Circles Movement. The concept of the PEACE (People’s Empowerment for the Advancement of Communities and Environment) Awards is to give recognition to media practitioners who have made exemplary contributions for the advancement of peace, community development and environmental protection. Wait a minute! Isn’t Ms. Fely Sicam the media relations officer of APUC? Are supposed-to-be objective awards given by an organization strongly associated with the awardee still objective awards? One thing’s for sure, her embarrassingly inaccurate article regarding fake doctors is not helping her “Best Columnist” cause. So what do I think of Fely Sicam’s doctor article? Fellow doctor John ET Manalo already shared his opinions in his “Are Stupid Journalists Really Stupid?” blog post (read it here). Personally, I think Ms. Fely Sicam’s article is turning up to be a cult classic. Best columnist in the Philippines? What’s next? Palanca? Pulitzer? Nobel? His was just a commentary on the article. No low blows, no superflous statements and very objective. Surely worth a read.